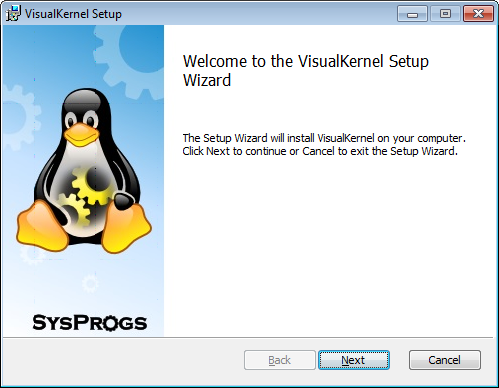 You can download a free fully functional trial of VisualKernel. The trial will expire in 30 days after the first run. If you don't have Visual Studio installed, try the Free Community Edition here. Visual Studio Express editions don't support add-ins and won't work with VisualKernel! If you are updating from an older version of VisualKernel, simply run the new MSI file. It will perform the update automatically and will use your old license key. Install Visual Studio 2005-2015. Express Editions are not supported. Download the MSI file using the link above. The license agreement is displayed during program installation.